In the jazzy, early days of the 1920s James T. Lee had an idea – a big one. He envisioned an enormous bachelor hotel, as much a men’s club as a hotel. It would offer a swimming pool, solarium, pool rooms, squash courts – even an infirmary. When his vision was fulfilled it would encompass 1200 rooms. 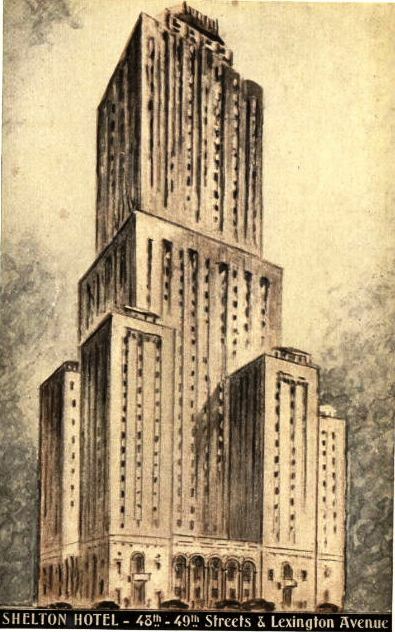 Lee, the grandfather of Jacqueline Kennedy Onassis, commissioned architect Arthur Loomis Harmon to design his 34-story hotel at Lexington Avenue and 49th Street. 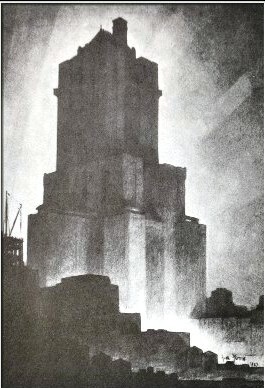 Harmon, who would help design the Empire State Building a few years later, made visionary use of the city’s 1916 zoning law requiring setbacks on tall buildings to admit air and light to the streets below. 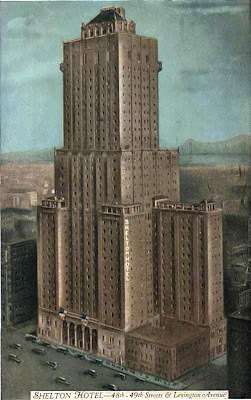 It was the tallest hotel in the world when it opened in 1924. Architectural critics raved: this would be the benchmark for skyscrapers going forward. The Hotel received awards from the Architectural League of New York and the American Institute of Architects. Because it was a men-only hotel, there seemed to be no problem that approximately 400 of the rooms shared baths in the hallway. It became a problem when later in 1924 Lee changed his mind and admitted women and families. The Shelton almost immediately drew attention, both good and tragic. 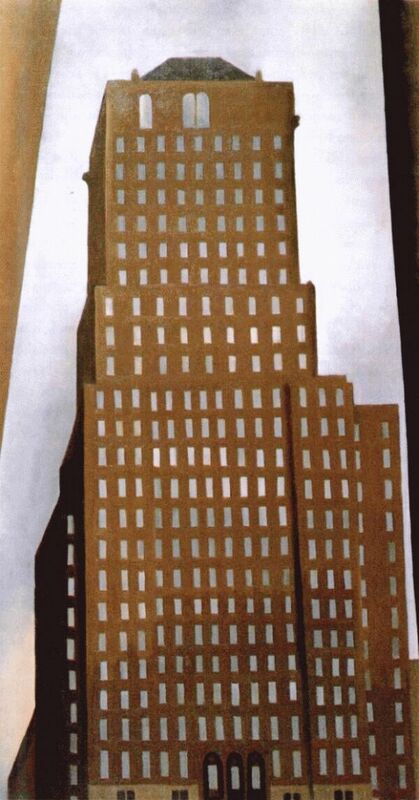 In 1925 Artist Georgia O’Keeffe and photographer Alfred Stieglitz moved in, living in their 30th floor apartment for 12 years. The Shelton became a frequent subject for both, adding to its international celebrity. In February of 1926 actress Pauline Armitage threw herself to her death from her 14th floor suite. Later that same year Harry Houdini had himself locked in a coffin-like box and submerged in the colorful basement swimming pool. From the gallery that overlooked the pool, spectators watched nervously for an hour until Houdini’s box was pulled out and he emerged unharmed. 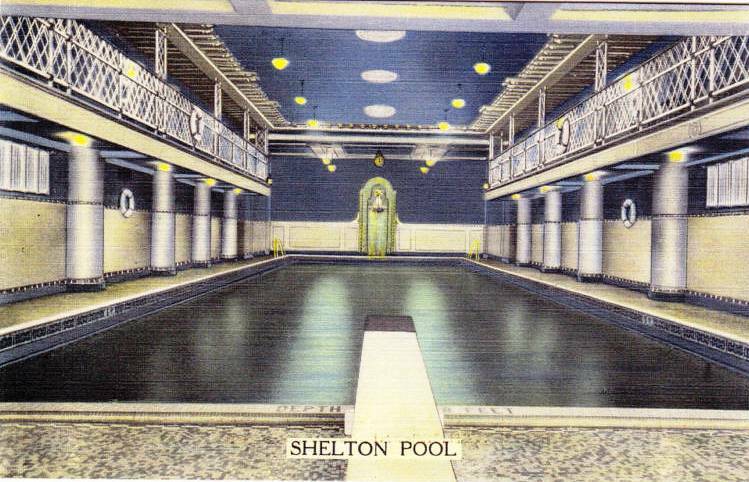 Despite its colorful history and architectural uniqueness, The Shelton, as is the case with almost all aging hotels, fell from favor. There were only 11 full time residents in the mid-1970s. In 1978 it became the Halloran House when Edward J. Halloran bought the foreclosed propery. He hired Stephen B. Jacobs to redesign the interiors, reducing the number of rooms to 650. By 2007 it was owned by Morgan Stanley who handed operation over to the Marriott. Now called the New York Marriott East Side it received a $25 million room renovation. The downstairs swimming pool was removed and the cavernous space was divided into three levels. Exterior restoration was conducted by Superstructures under the supervision of architect Richard Moses. Most of the original architectural detailing – griffins, gargoyles and other elements that make the Shelton a visual feast – were in good shape. Those which were heavily affected by weathering were reproduced and replaced. 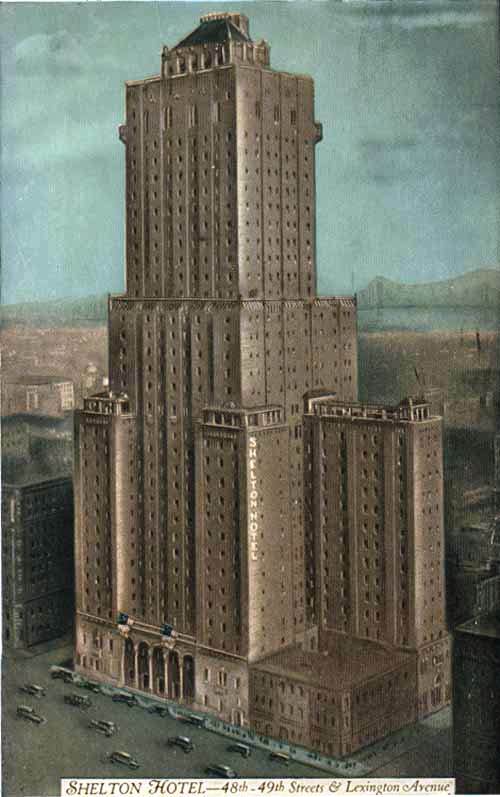 The Shelton Hotel was threatened with demolition in the 1970s by then-owner Tishman Realty. 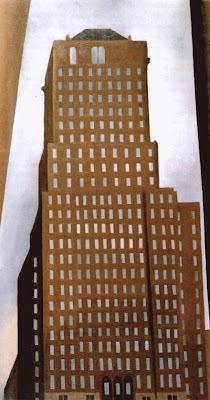 Today it enjoys new life as a stylish architectural remnant of 1920s Manhattan.